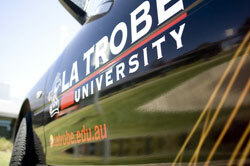 All car parking spaces on the Melbourne Campus require a valid car parking permit Monday to Friday, 8am-5pm. Outside of these hours, parking is free. Suited to staff and students parking frequently. College, Central Administration and Research Visitors ONLY!